Earlier this year a study commissioned by outdoor clothing company Helly Hansen revealed that the Northern Lights took third place in a ranking of the top fifty sights on travellers’ bucket lists. And with the dazzling natural light display set to be at its best this December, holidaymakers are set to be heading to countries such as Norway and Iceland to see the Northern Lights at their best. 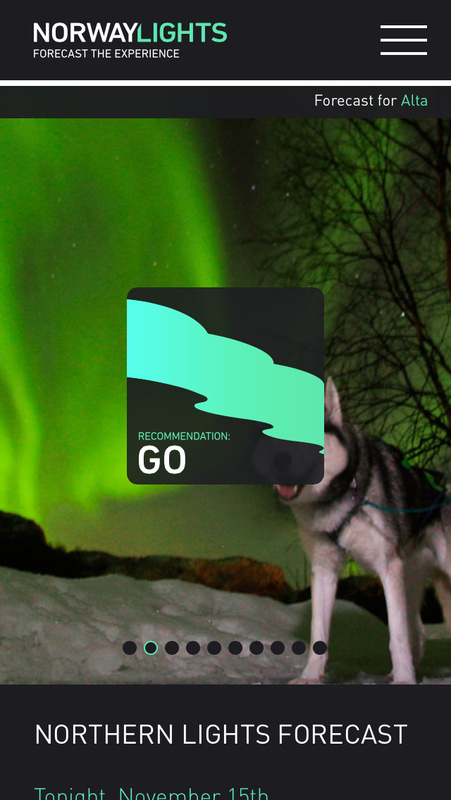 Now a free mobile app from visit Norway could help travellers find the best location to view the magnificent aurora borealis, by keeping travellers in the know on upcoming Northern Lights conditions and the latest predictions on weather. The Norway Lights app can be downloaded from the iTunes store and helps to take all the guesswork out of this once in a lifetime experience. Visit Norway argues that Norway is one of the best places in the world to see the Northern Lights and Tuftin goes on to explain why. “Norway is in the centre of the northern lights zone, so the probability of seeing the lights are very likely on any cloud-free night between October and March. Though the northern lights are visible in other countries, Northern Norway's easy accessibility and optimal conditions make it one of the best places on Earth to see them,” Tuftin claims, before continuing, “there is no other place in the world where chances are higher”. With Senior NASA scientists forecasting that the current period of solar maximum activity will reach its peak next month, will you be making a journey to see the Northern Lights before the year is out? If you are it is important to secure travel insurance in advance.